Legend has it there is a place on earth where the sun and moon abide. This special place is located in the town of Madurai. 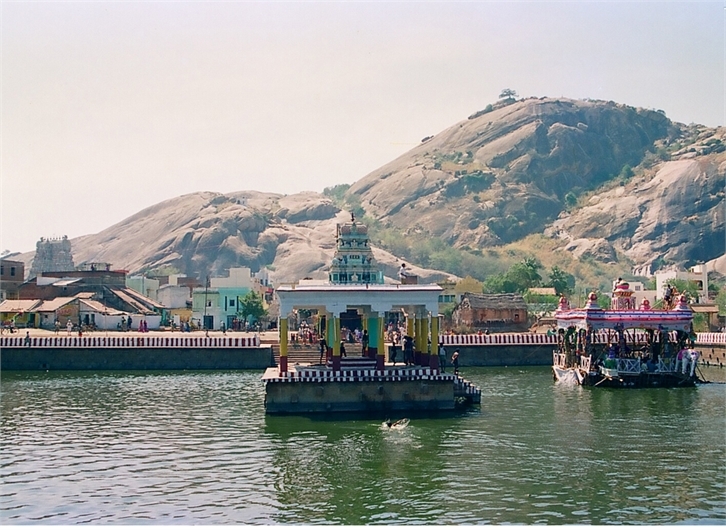 It is a cave temple dedicated to Muruga, called the Sree Subramanya Swami Temple in Thirupparankunram. Here Subramanya (Lord Murugan) graces devotees in a seated, wedding form with his consort Deivanai. Hewn out of rock, the temple is believed to have been constructed by the Pandyas in the 6th century. Later, during the reign of Nayaks of Madurai (1559-1736 AD), the beautiful gopurams (towers) were added. Of the many wonders the temple holds, one that always captures the imagination of the devotees is the marriage of Subramanya and Deivanai, which took place at this divine site. This is the story... At the end of the battle in Thiruchendur, after vanquishing the demon Soorapadman, Subramanya and his troops, having freed all the Devas (heavenly beings) from the clutches of Soorapadman, came to rest at Thirupparankunram. At this temple, it was said that Subramanya worships Lord Shiva in the form of Parangirinathar. On his arrival at Tirupparankunram, Subramanya ordered Viswakarma, the divine architect, to construct a beautiful abode for himself, the devas and others. This abode was built with connecting roads and a city was erected around them. Then Indra, the king of heavens, offered his daughter Deivanai’s hand in marriage to Subramanya, as a mark of his gratitude for saving him and the devas from the demon Soorapadman. 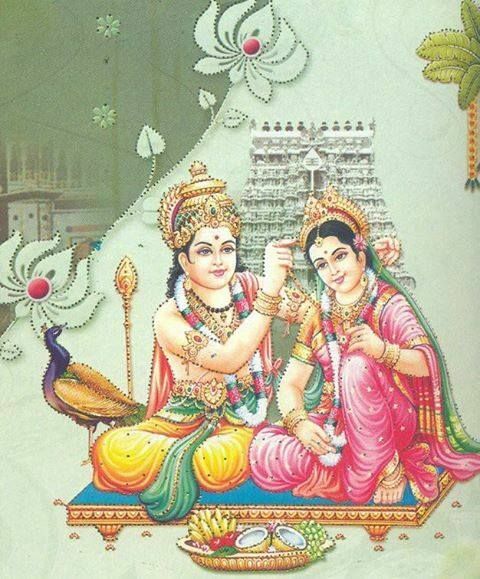 Lord Subramanya agreed and arrangements were made for the wedding to take place in Thirupparankunram. All the Devas, Vishnu, Brahma, Shiva, and their consorts attended the marriage and blessed Subramanya and Deivanai. The Temple in Thirupparankundram, therefore, became one of the most revered shrines in Tamil Nadu. Up to this day, it is considered auspicious to get married here, more so during the festival of marriage ‘Panguni Uthiram’, in late March. It is believed that couples that get married here are blessed with a happy and successful married life. In Thirupparankundram temple, only a scented paste called 'punugu' which consists of civet musk and other scented ingredients is applied to Lord Murugan. Abhishegam (sacred idol bath) is only performed to the Vel, Lord Muruga’s weapon. Great importance is given to the Vel, as Lord Muruga came to Thirupparankundram after victoriously defeating the demon Soorapadman, by means of the power bestowed on his Vel. 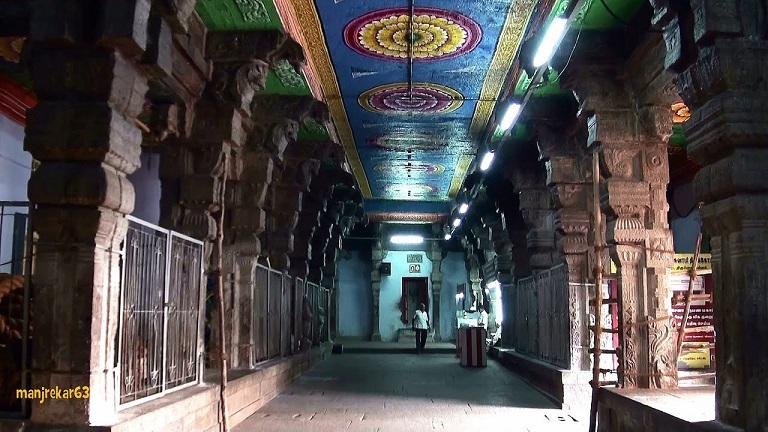 Thirupparankundram Temple is not only visited by Hindu devotees but is also by those with other religious beliefs. A Muslim shrine dedicated to Sekunder (believed to be al-Sikandar or Alexander the Great) is also located here. This shrine is also associated with Subramanya, according to some legends as it is popularly believed Sekunder was a friend of Subramanya. 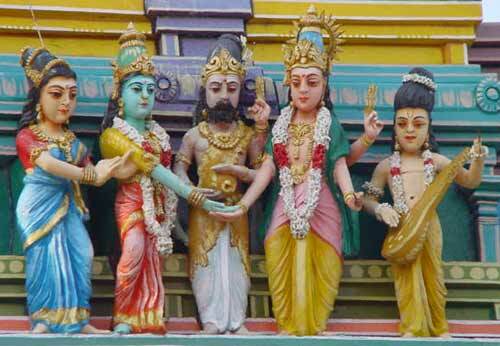 FIND OUT: How to Receive Lord Murugan’s Blessings?